Adrenalin is our best-selling WooCommerce theme of all time - a great choice for your business. 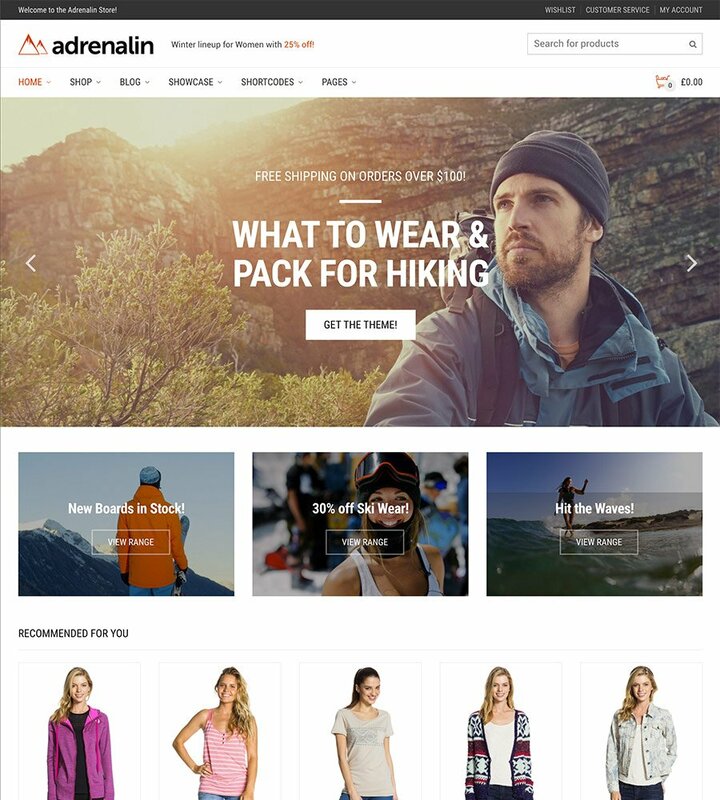 Adrenalin is our best selling WooCommerce theme of all time. It features a distinctively clean design with excellent typography designed to help make your products shine. The feedback from users has been incredible as is currently one of the most highly rated themes with over 150 five-star ratings. The theme includes over fifty theme options, allowing for easy customization of typography, colors, layouts amongst others. It includes WPML support so it’s easy to have a multi-lingual site supporting multiple currencies. As a best-seller on ThemeForest with nearly 2,000 happy customers buyers are in safe hands choosing Adrenalin for their store. Adrenalin is fully compatible with the leading SEO plugin on the market, Yoast SEO and passes Google’s Structured Data Testing Test Tool. Plus, when you do need help we’re here for you. Our customers rave about our world class support team. This is a great, easily customized theme, and most importantly, the support team is extraordinarily great! You won't be stuck with a theme you can't use, as they go the extra mile to help and find solutions.